The year was 1968. The United States was in the midst of its space race, as engineers and scientists worked feverishly to send the first man to the moon. At the same time, toy designers at Hasbro worked just as feverishly to come up with new ideas for their hit toy line, Mr. Potato Head. The result was Mr. 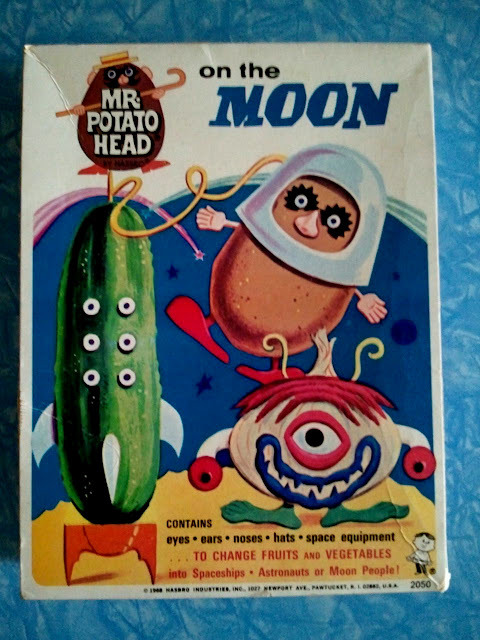 Potato Head on the Moon, a clever set in a gorgeously illustrated box that allowed children "to change fruits and vegetables into spaceships, astronauts, or moon people!" 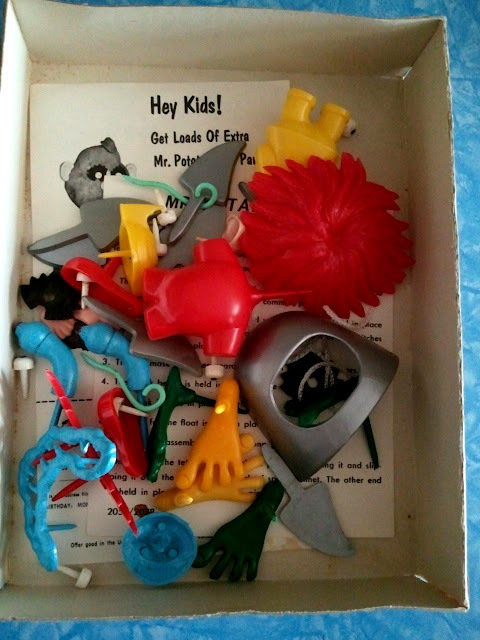 Inside the box was a huge assortment of pieces unique to this set, including a space helmet; alien feet, antennae, fanged mouths, giant eyes, and various other appendages; and spaceship parts. This set was meant to be used with real fruits and vegetables, and did not include a plastic potato. The instructions suggested using a cucumber for the spaceship, an onion (!) 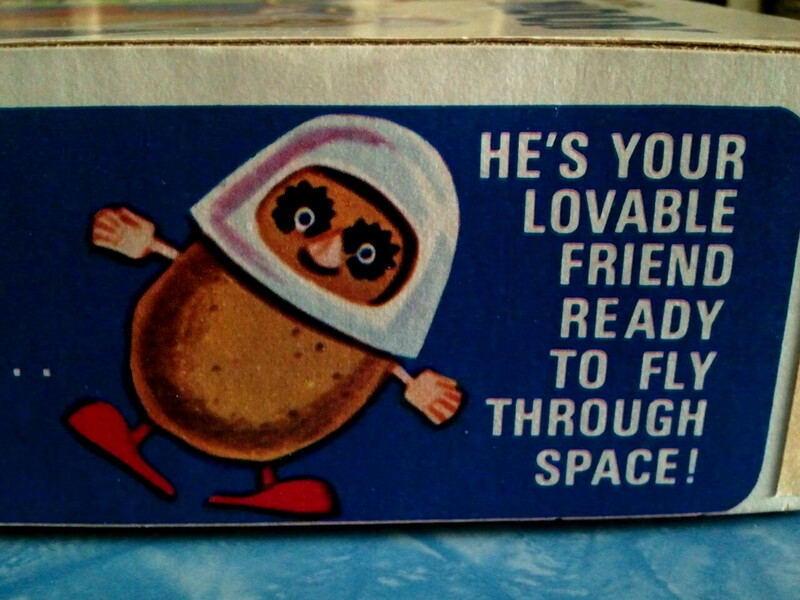 for the alien, and a potato for the astronaut. Mr. Potato Head on the Moon is now one of the rarest and most valuable of the vintage sets, and was long considered a Holy Grail of sorts for Potato collectors. In a quirky bit of cosmic coincidence, I finally found mine just a few days ago, around the time of the recent Blue Moon! "That's one small step for potatoes, one giant leap for potato collectors." This is hilarious! I saw a Mr. Potato Head at Costco last week. They supersized it and totally ruined it. Makes me want to head to the moon. Yes, I share your distaste for the modern Potato Head. This set is one of my very favorites. how much did you pay for Mr Potato Head goes to the moon?